Like an eerie remake of the Doctor Who theme tune, The Resistance trundles into life with the haunting “Uprising”, its first single, ushering in a welcome return for Devon’s greatest ever export: Muse. It’s three years since the band’s epic Black Holes and Revelations stormed the charts, delivering the band their second number one album and the first to go double-platinum, as well as the distinctly un-Muse-like single “Supermassive Black Hole”. 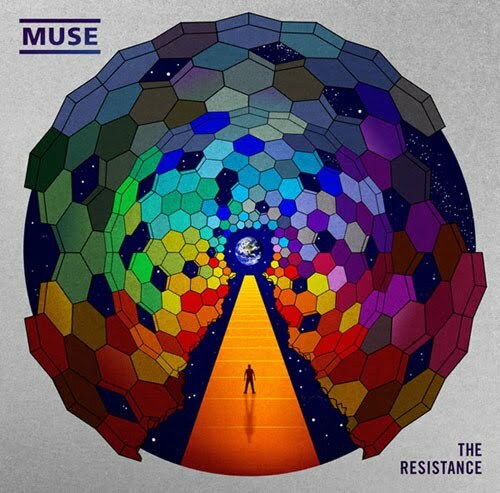 Listening to Resistance the gaps between the Muse of old and the band as they are now have been filled in, stripping back some of the dancier elements in favour of a more bass-driven sound like that used on breakthrough release Origin of Symmetry. The album as a whole takes rebellion as its central theme, and despite much discussion about its 15 minute song, the “Exogenisis: Symphony”, it is tucked away at the end of the record, but provides a worthy climax of musical and song-writing prowess to summarise what the entire album is about. The piano makes a welcome return in this album, with over half of the tracks featuring frontman Matt Bellamy’s instrument of choice prominently, creating moments where the band resembles Freddie Mercury’s Queen. In many ways they have become the Queen of the modern day, since no other current guitar-based British band has maintained popularity for so long with such a theatrical feeling. The third track, “Undisclosed Desires”, (the second of four tracks beginning with ‘U’ on the album) deserves to be the strongest single release, with the synthesized strings and relentless beat driving forward a story of the deadly nature of love. There’s none of the anger of Black Holes’ “Assassin” here, but that doesn’t mean the album is without it’s powerful moments, just that they come in dark lyrical choices and a continuous strong bassline. The guitar takes a back seat once again this time, with only a few notable riffs to speak of, but strangely it isn’t missed as much as expected, as the other instruments step up to take its place. Bellamy teasingly reminds us of one of the band’s staples in “Unnatural Selection” by basing the riff around the impact-ridden guitar intro section of “New Born”, suggesting it may be some sort of sequel, something which the band have done in the past with “Sing For Absolution” and “Starlight”. Every track feels very much at home, unlike the occasional track in the past where you feel the band have dropped the ball and things sound out of place like “Hoodoo” or “Megalomania”, this album is complete and listens well all the way through without nagging you to skip past to the next song. The album as a whole is one where tranquility and anger are uneasy bedfellows. In “United States of Eurasia” for example, the sombre piano quickly makes way for a flurry of musical build up, but the transition is well handled and serves to hold the audiences attention. Because it is for an audience, as much as a CD is designed for a listener, this one is presented as a spectacle; grand strings, foreign vocals and quiet moments combine with pounding drums and bellowing bass to create nothing short of a fully modern rock opera. Previous PostYou’re so last summer: How times have changed for the better since 2008Next PostIs this the real life – Has reality TV finally lost the X-factor?